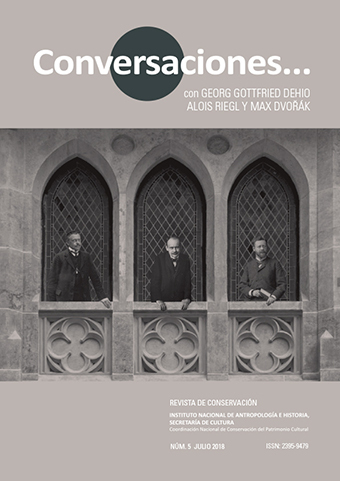 The aim of this article is to analyze the proposals contained in the texts of Riegl, Dehio and Dvořák that have been translated in this volume of the journal, and which are of interest to the Brazilian context today. In order to do so, we first present succinctly, the way in which the writings of these authors are incorporated in Brazil. We then point out themes that emerge from their texts that remain current and that can find repercussions in other cultural contexts. Among these, it is possible to mention the following matters, which structure the subtitles of this article: problems related to the use of theoretical references to preservation; the conservation-restoration tension and the different ways of regenerating cultural assets; the permanency of the dangers threatening cultural assets, as enunciated by Dvořák; the importance of the environment in which the assets are inserted and the importance of the landscape. Pointing out some convergences and divergences among the authors and ramifications in the contemporary debate in Brazil, this article highlights the importance of a coherent approach in the method and criteria used to guide, from an ethical point of view, interventions in cultural assets.